As previously reported, the dates come as part of Mars' "24K Magic World Tour," with this latest run marking the tour's end. The concerts kick off in September, with various shows set to take place in the U.S. well into October. 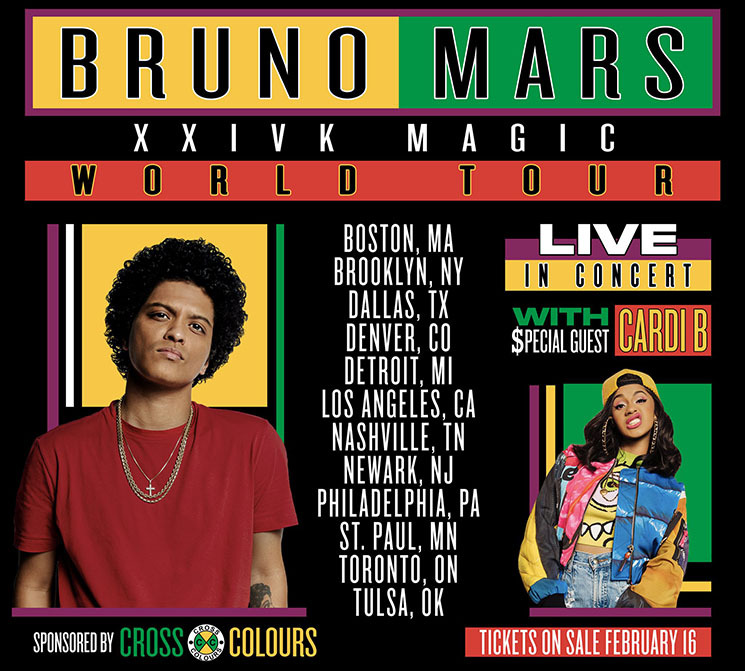 For Canada, Mars and Cardi B will hit up Toronto's Air Canada Centre on September 22 and 23.